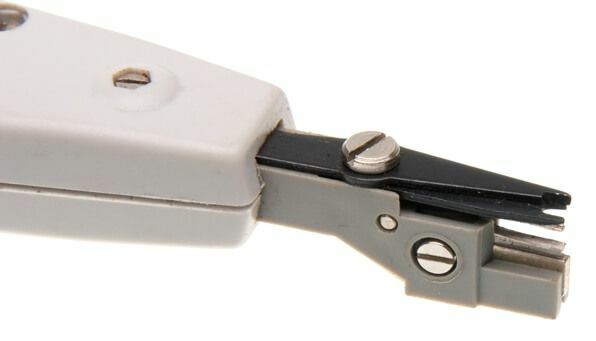 3 in 1 KR terminal crimping tool designed for terminating and removing excess wire. Suitable for telephone, Cat5E and Cat 6 cables. Cable locking, insertion blades and cable shears are included.